I've mentioned this cake before, back when I first started blogging. I was so new to the blogging world, that I wasn't yet taking photos of each and every recipe I prepared with the plan to include it in a blog post. While the original recipe consist of a couple more ingredients, this time I decided to make it even simpler by just using 3 ingredients! I made this cake for our Keurig Vue House Party and it was very well received! I got lots of compliments on this super-easy dessert! With an electic hand mixer, combine all ingredients until well mixed. Pour into a glass 9x13 baking dish, sprayed with cooking spray. Easy, right? Okay, so technically, with the can of frosting, this is a 4-ingredient cake, but the frosting is pretty much optional...not really, you need the frosting...all cake needs frosting! 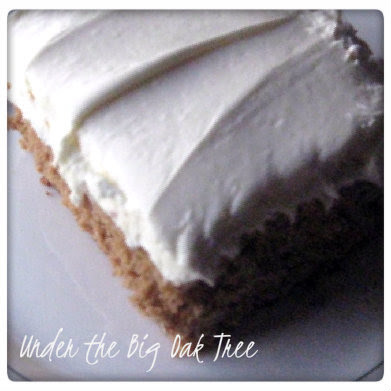 You could use a homemade cream cheese frosting as well, I just didn't have the time for homemade frosting as the dessert is always the last thing I make when preparing for a party! While I've also seen this done as a 2 ingredient cake by omitting the egg, I prefer using the egg. I've made this both ways and find that when I prepare this including the egg, the cake itself is less crumbly. 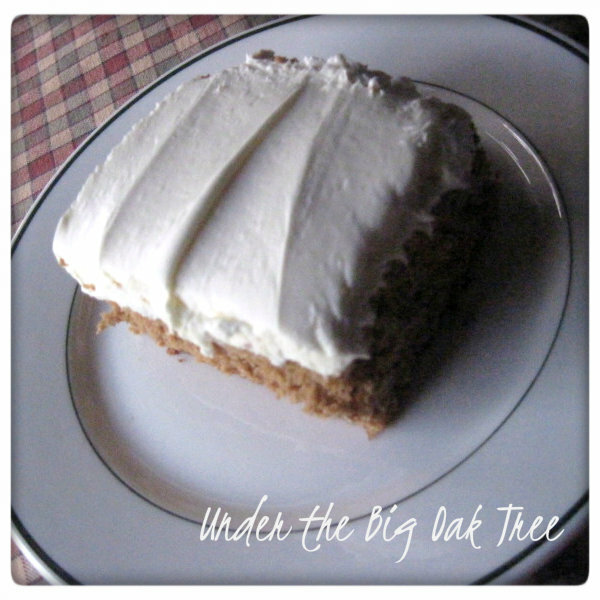 If you like your spice cake with raisins and nuts, check out the original, photo-less recipe. Wow!! This looks delicious! I love recipes that are easy and delicious! Thanks for sharing! This looks so good. I can't wait to try out the recipe once our oven is fixed. You had me at pumpkin. Looks delicious! I love to read simple recipes like this. It is great to see you this week! Your Pumpkin Spice Cake looks delicious, we will just love it. Hope you have a great week and thank you so much for sharing with Full Plate Thursday.